Starting around the end of July, the Montana horizon slowly begins to lose its green hue. The landscape becomes a crazy quilt of golden, amber and a few green patches, gently swaying in the breeze, awaiting harvest. Driving almost anywhere this time of year in Montana is spectacular. From the Golden Triangle in North Central Montana, to our area in the South West, it’s a sight to see as these golden fields stretch throughout expansive valleys to the bases of the tallest mountains— further propagating our state’s Big Sky title. As beautiful as the landscape becomes, harvest time is bittersweet as it signals the end of summer. Irrigation has wrapped up for a while and our second cutting of hay has been put up. Days have gotten shorter and the nights and mornings are significantly cooler. I’ve reluctantly dug out my jacket from the closet and hung it on the peg by my door as I’m going to need it more and more frequently from now on. 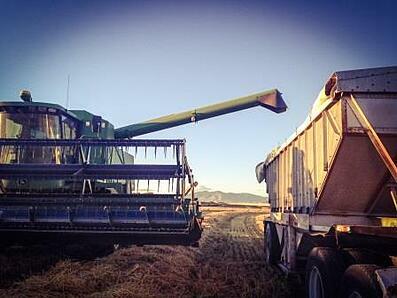 The biggest thing left to do before winter is harvest our grain. As with most mechanical tasks on the ranch, harvest begins with machinery maintenance. 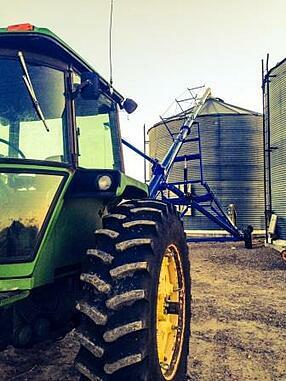 Farmers and ranchers must develop many aptitudes and mechanical savvy is imperative. While machine maintenance and repair may not be one of the most intriguing pieces in the farm-to-table process, it certainly is one of the most important. Farmers work all year to maintain equipment so that it performs efficiently and the risk of mechanical malfunction in the field is reduced. Although you can sometimes see the legacy of past models in the design of modern agricultural equipment, modern machinery can be very complicated and it only takes a minor mechanical malfunction to put a farmer very far behind schedule. On the Johnson Ranch, we thoroughly maintain our equipment both before and after its use. Maintenance varies widely by equipment type, but some of the most common maintenance practices include adding grease to zerk fittings, changing engine oil, checking fluid levels, inspecting belts, monitoring tire air pressure and more. Specifically on the combine machinery (which is used at harvest time) we will check bearings, change the oil, check gear boxes, check augers, inspect the header, sickle and sections, check wobble boxes (the mechanisms that run the sickle), check fluid levels, install the GPS, calibrate the moisture meter, and other tasks. The list is long, but the cost of breaking down in the field is significant and although malfunctions aren’t 100% avoidable, they can often be prevented. 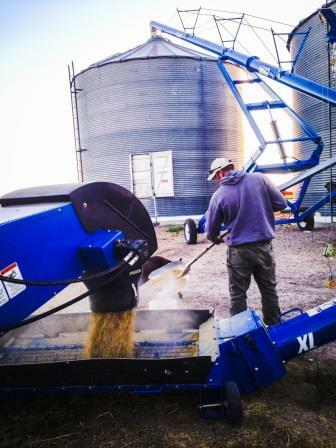 Other equipment we use for harvest includes grain trucks, augers, grain bins, tractors and bailers. Grain trucks and grain carts allow farmers to haul their grain from the combine in the field to grain storage bins. Grain bins are where the crop is stored until it reaches optimal moisture levels (many bins have built-in drying systems) or until it’s ready to sell on or deliver to the market. We use the tractors and bailers to bale the straw left over by the combine. All of this equipment also needs to be maintained and prepared for the harvest. The Equipment Is Ready; Is The Grain? Once the equipment is ready for harvest, we must ensure the grain is ready as well. There are a few indicators of grain’s readiness for harvest. Although farmers can harvest grains for different purposes and these indicators aren’t necessarily boilerplate, the Montana grain farmer harvesting wheat and barley for mainstream commercial processing looks for a few common indicators. The first indicator is simply visual. Wheat and barley both turn from green to golden as they approach readiness for harvest. Visual indicators alone don’t determine readiness of the grain for harvest, but they do signal to the farmer that the mature grain is beginning to lose its moisture and that it should be cut soon. Along with the visual indicators, historical seasonal indicators let a farmer know when harvest is approaching. 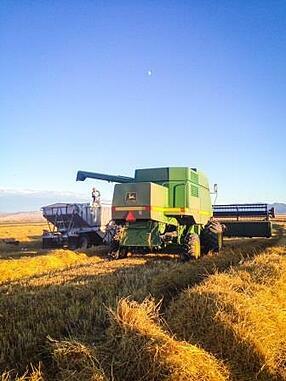 Across the grain growing regions in Montana, harvest time for wheat and barley can range from August to early October. Within the state are smaller microclimates and inside of these farmers can more accurately predict when harvest will begin. The weather of the growing season also significantly impacts harvest dates, but historical information can greatly aide in knowing when to anticipate harvest. The primary indicator of when grain is ready to harvest is its moisture level. Physiologically mature wheat and barley berries have a moisture level of around 30% - 50%, but they must dry some before they can be harvested. Harvest can begin when the moisture level is below 20% for wheat and 18% for barley, although slightly lower levels are optimal as they require less mechanical drying in grain bins before going to market. Mechanical drying can be costly and consume additional energy. Farmers want their grain to dry in the fields as long as possible, but a dry field of grain is fragile and can be easily damaged by the elements. Thus, if a storm is on the horizon, a farmer may be forced to cut his crop at a slightly higher moisture level to avoid losing it altogether. We test grain moisture level on the Johnson Ranch by cutting a sample section of the field with our combine and then using a grain moisture tester to measure the percentage of moisture in the grain berries. Accurate moisture tests are important in managing and marketing grain because it can spoil if it’s harvested too wet; cost more in drying costs if it’s harvested too early; and, alternately, too little moisture can create a sub-par product. Once we’ve readied the equipment and determined the moisture levels are within the appropriate range, it’s time to begin the harvest. Harvesting itself is a relatively simple process. We calibrate the GPS to the footprint of the field and away we go! The combine itself does most of the hard work. 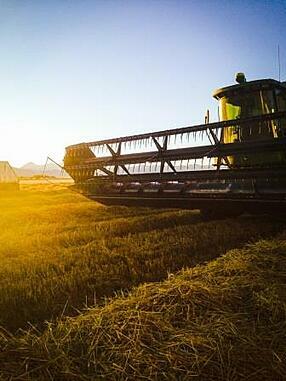 The combine passes over the stalks of grain, cuts them from the ground, intakes them and processes the grain. Stalks and leaves are separated and left behind in windrows of straw, similar to those a swather leaves behind during haying. Inside the combine, a mechanical process occurs, further separating the berries from the chaff and beard on the top of the wheat stalk. The byproducts are expelled back into the field, while the berries are augered into a hopper at the top of the combine. In a matter of seconds, the grain has gone from stalks in the field to berries, nearly ready for commercial use. Grain trucks and carts can drive alongside as the farmer operates the combine and another auger empties the grain into the trucks. Not a second of efficiency is lost. The grain is removed from the field and stored in bins until either the moisture levels are perfect or the market is right. Alternatively, it can be hauled directly to the granary to fulfill a contract or sell on the open market. After the combine is out of the field, we will go through and bale the remaining windrows of straw. This straw makes excellent bedding for animals during the winter and can also be stacked to shelter animals and buildings from the elements. Once the bales are removed from the field, if enough water is available, we will irrigate our fields once more before winter comes. This last bit of water helps replenish some of the ground moisture that was depleted throughout the growing season and also aides in slight soil compaction so the topsoil doesn’t blow away during the winter. This year overall we were very happy with the results of our crops. We had two above average hay cuttings. The hay was heavy and hearty and we will have enough not only to feed our own animals over the winter, but also excess to sell on the market as high-quality horse hay to buyers as far away as Florida. 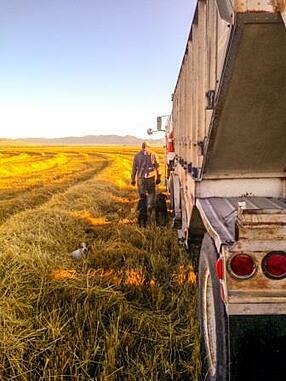 We have also had success with our grain harvest. We averaged around 135 bushels/acre for our malt barley and we believe all will be high enough quality to earn the malt premium. 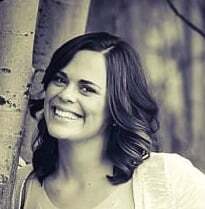 Despite above average moisture, some hail damage, insect damage and other environmental factors, in the end 2014 was a good year for farmers and ranchers in Beaverhead County, Montana. Now that the hay is put up and the crops are in, we get to take a quick break before things pick up again and it’s time to deliver all of the grain and start thinking about cattle! Peak of Summer, Growing Grains in Montana. Hoping for a Great Harvest!